"Be part of the light, and learn." Here we are. We have made it in to the final week of the first month of the year. What a journey in already. Imbolc, the celtic festival that celebrates the coming of the light, is on its way this weekend and February will arrive, a month of transitioning towards the Springtime. Imbolc is traditionally the great festival and honouring of Brigid (Brighid, Bride, Brigit), so loved as a pagan Goddess that her worship was woven into the Christian church as St Bridget.She is a Goddess of healing, poetry and smithcraft. She is a Goddess of Fire, of the Sun and of the Hearth. She brings fertility to the land and its people and is closely connected to midwives and new-born babies. She is the Triple Goddess, but at Imbolc she is in her Maiden aspect. “There is joy in that ever-widening consciousness; there you will feel and see the purpose of being here. We didn’t come here to rule these earthly kingdoms. The purpose of life is to be conscious, to be one with the divine, to know.” - Swami Amir Jyoti. It is the divine that we are connecting with when we feel at bliss in whatever earthly realm we are taking part within at all times. If we stay connected to that, we feel in bliss. We do. I awoke early each morning over the weekend and I awoke clearly seeing my dreams (and nightmares), I awoke with a monkey mind and I witnessed it hoping to be the power. I allowed for it to contemplate my engagement with it, my choices, my settings, my company, my choices and then, I made a point to bring myself back to the inner divine. From stepping my physical self outside to the rising sun, walking through the cold crisp morning and saying hello to some sheep and a pheasant, walking through the snowdrops and meditating on the steps of the van, with the fire burning inside hot and wild, to placing my hands on my belly and breathing deeper in to that place of truth. I reminded myself to stay connected to that beyond the mind, the place, the people, the activity, the need to make sense of anything, but to stay present, trusting and knowing of that divinity beyond the self. I felt a sense of a death and a birthing to changing perspective and surrender to changing times. We talk alot about this reconnection and the act of devotion and giving our practice to the divine, in yoga. I can call myself a yoga teacher, because i studied for over 4 years to get a qualification and ongoing trainings got me certified, as well as my personal practice now for over 18 years and yet, i am still learning all of this. i would say, however, these are not words from a ethereal and unknown place, from a textbook or a yogic language that i am translating back to you unjustified, these are simply my direct experiences being shared with you. I stumble, i feel disconnected from this at times, as I bloody am glad that i do… because in those darknesses and lost states, we find the stimulus to reconnect and transform. This is the classical, timeless spirituality that contains all paths, no religion or dogma, but reality extended out from me to you, through my observations, engagements and efforts to live more open, lighter and conscious in this lifetime. “Be part of the light, and learn.” - Joanna Ernest. We are in an Aquarian age, my astrologer tells me. I seek the new, the alternate, the questionable, the creative pursuits to make sense of the here and now and to break the conventional ways of being, thinking, seeing, as part of my nature, I challenge it all. i can conform, i can abide, but the inner rebel in me, continues to explore, find freedom and peace, in the light and the new day, in each and every breath. i invite you to join me, through the self, through the acts of selfless service, through Bhakti. Love and devotion in Spring coming. I believe this is the time to… pick up a pen and paper and to write down your values, your ambitions and begin to, from the heart, think about what personal things would benefit you and all beings as spring flows in to your life. It is a time to create an alter and bring in the wild flowers and nature offerings in to the house. As you place them on the alter, visualise the light flowing in and the fire of truth and illunination, a goddess practice inviting in the feminine energy of rebirth and growth. This is a time of patience, as we allow the changing times to come when the time is right for birthing the new, the spring will arrive when it’s ready, like all good things, this can’t be rushed. The slow burning of a candle is a gentle reminder of the slow burning desires, so bring in the light in through the flames and feel the warmth, the flickering and the light of candles by your side, at this time. Other known remedies of this period in nature are blackberries, the coltsfoot herb, ginger, willow and the rowan tree, i am advised. I claim not to know everything, yet pass on the wisdom I explore with staying in touch with elements at the times of year, as we try to stay connected with mother nature… gives it a try. Likewise, in addition to Yoga of course, I highly recommend a wonderful Body Treatment or two, to stay in alignment and support your energy at this changing time. This Zen Shiatsu with Rich is far out and has supported me in ways, especially for base energy, digestive support and self connection… i highly recommend Rich’s wisdom and healing hands. In our practice on the mats, we will explore the Serpent energy. The serpent is a symbol of this time. In Celtic mythology Brigid was associated with an awakening hibernating serpent which emerged from its lair at Imbolc. Traditionally serpents were associated with creativity and inspiration - the powerful Kundalini energy of the Eastern Mysteries. Paths of earth energy were called serpent paths and at Imbolc they are stirred from their slumber. This will dive us in to back bending, through a nurturing and explorative practice that honours the divine within you. 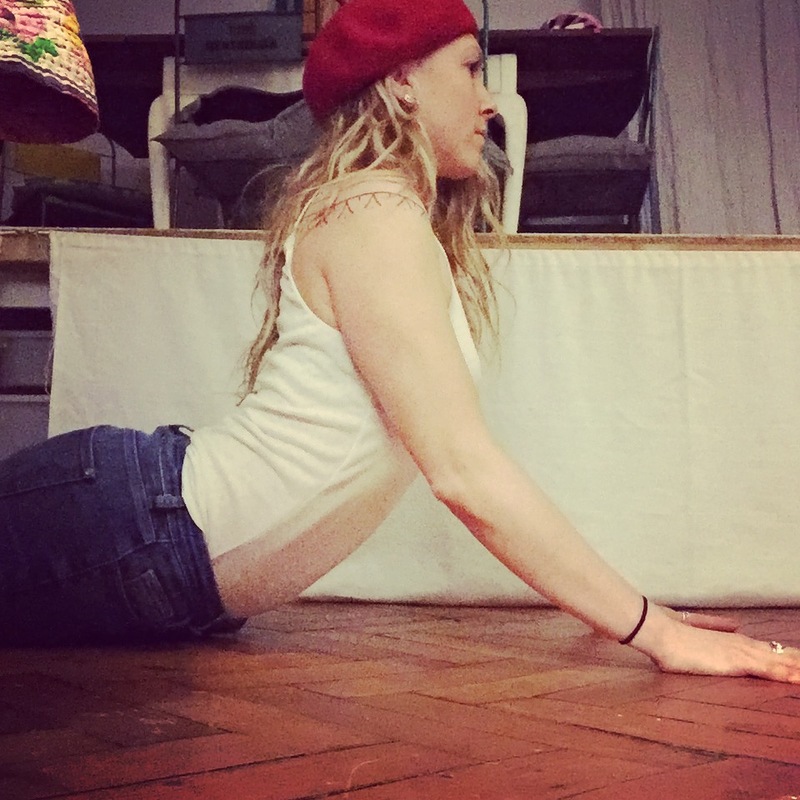 If any of you have a spare minute to share with me any Testimonials, feedback on Yoga i-D’s offerings, classes, the blog, as well as your hopes and wishes for our explorations together this Spring, I would love some feedback and your thoughts are always welcome.